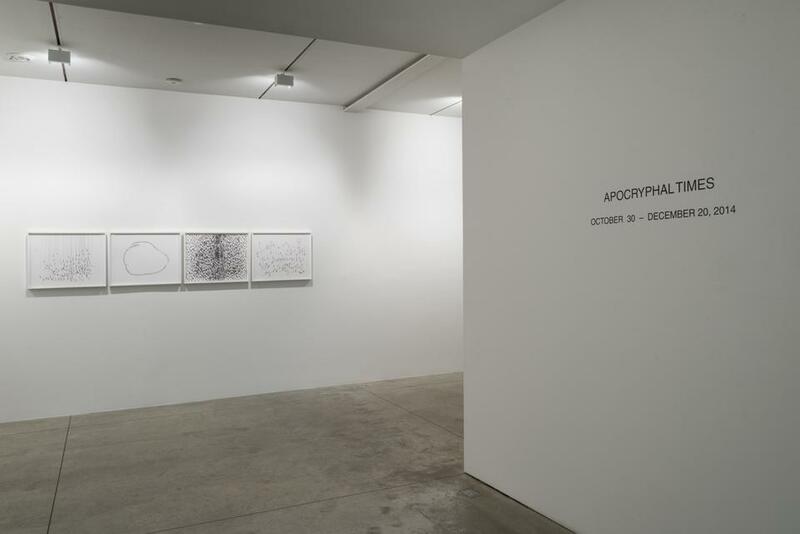 New York, NY -- Apocryphal Times is an exhibition that presents the work of eleven international artists who grapple with the ultimate-elusive concept of time. Striving to grasp time’s essence, these artists were invited to reflect on traditional temporal notions and to create narratives that defy, fictionalize, or capture ‘time’ as we know it. Organized by Thorsten Albertz, gallery director at Friedman Benda, and artist Tamara Kostianovsky, the exhibition will be on view from October 30 through December 13, 2014. Through sculptures, performative works, installations, and drawings, the artists in the exhibition demonstrate a common preoccupation with clocks, memory, ruins, the aging body, and anxiety about the future. 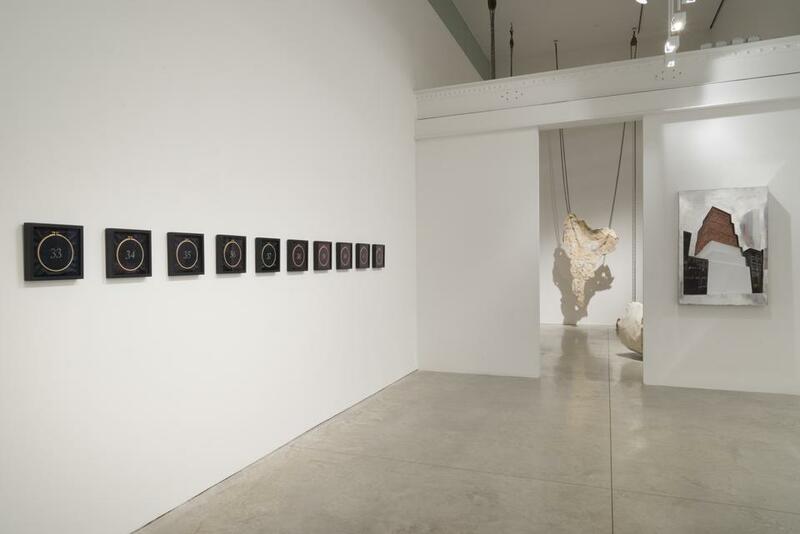 Informed by the power of history, myths, scientific theories, and personal experiences, the selection of works ultimately challenge the idea that ‘time’ is what keeps everything from happening at once. 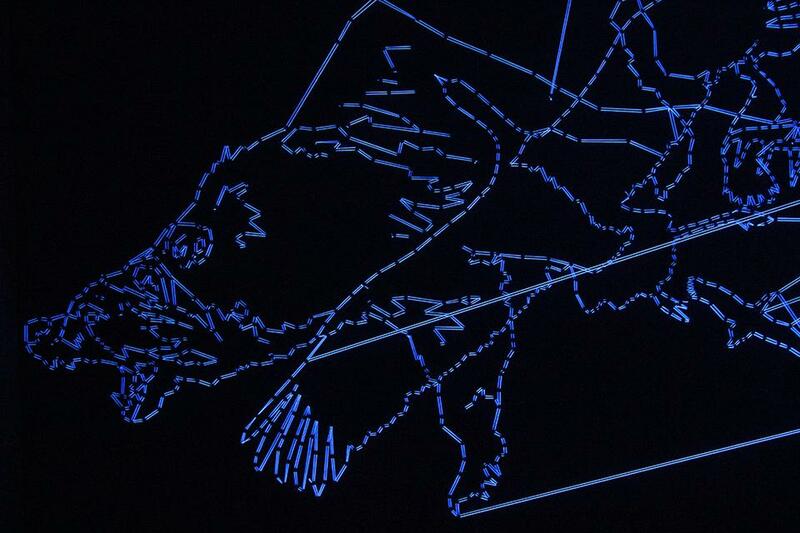 Literal attempts to mark the passage of time are seen in Aili Schmeltz’s meticulous “hour glass” drawings, where charcoal lines intermittently mark and discount time, and with Jessica Lagunas’s presentation, where her own greying hair is incorporated yearly into discrete works, creating an ongoing personal calendar of aging. Reflections of the past figure prominently in the show as a number of artists delve into the collective or personal histories to re-interpret, dispel, or propose new constructs; Cesar Cornejo‘s elongated skulls made out of tiny bricks simultaneously refer to the sculls of pre-Columbian nobility of the Paracas Culture of Ancient Peru and to the construction materials of shanty-towns that surround Peru's capital today in Lima. 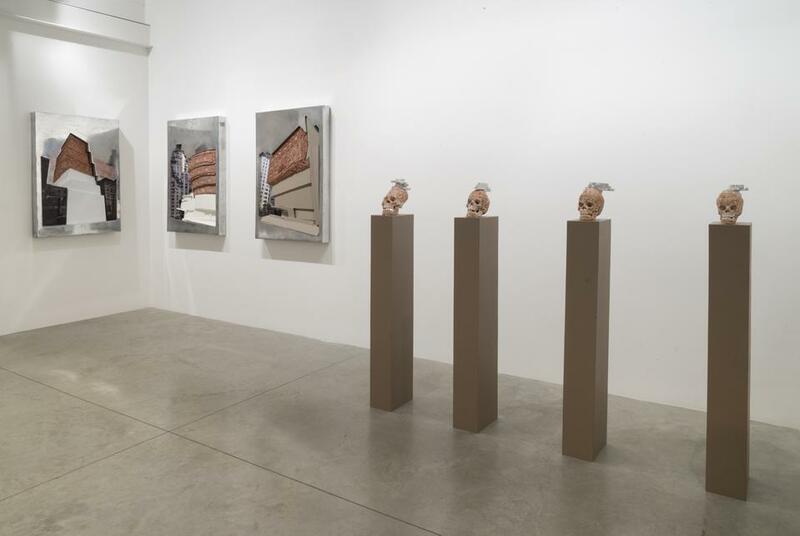 His work addresses social issues and time as a continuum where parallel realities coexist. 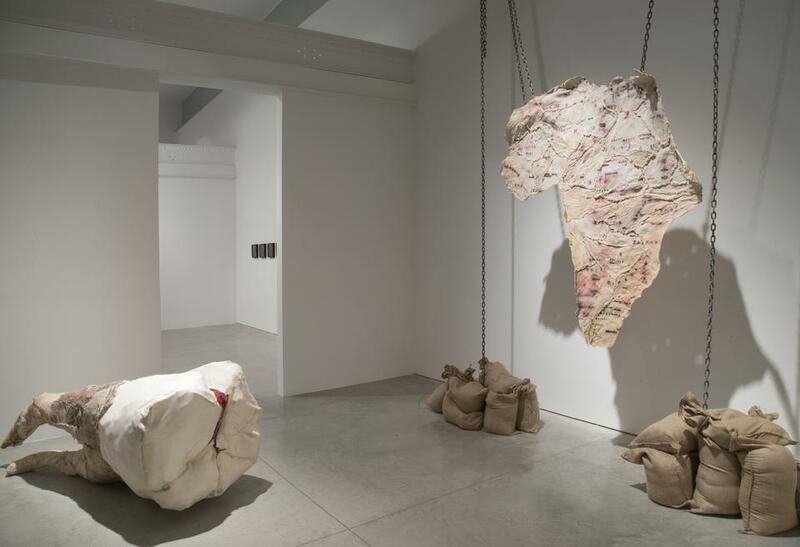 Tamara Kostianovsky is inspired by the anthropomorphic myths of Mother Earth in South America; her world maps made of dehydrated meat integrate the body with the land in works that reflect on the history of colonization, displacement, and migration. 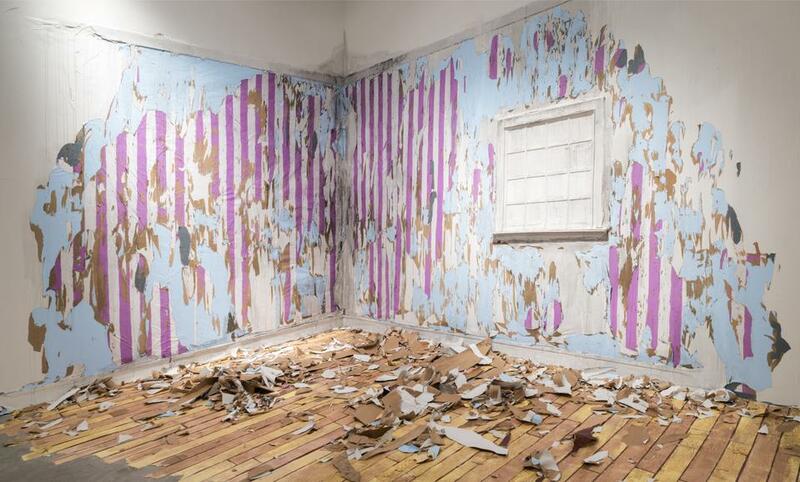 Valerie Hegarty's recreation of her parents’ room captures the vanishing memories of her childhood, translating feelings of remembrance and loss into extant reality. 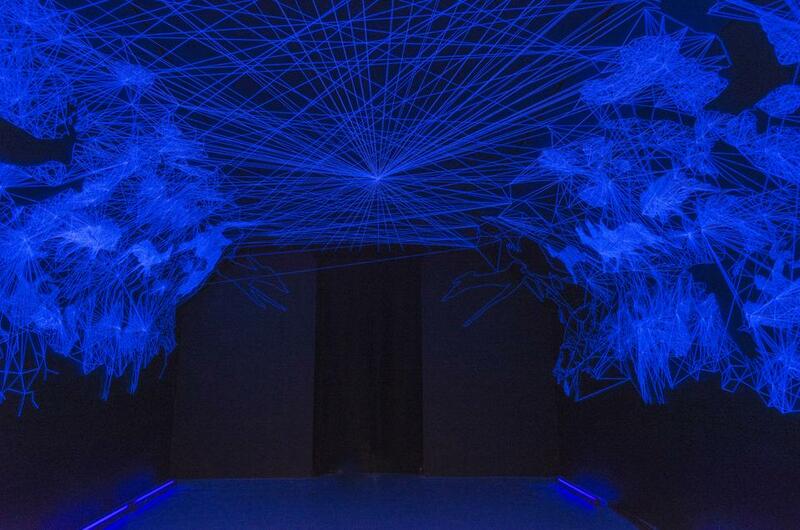 Julien Salaud creates a "Grotte Stellaire;” a dark dome within which he draws images reminiscent of Paleolithic Cave Paintings with cotton threads illuminated by black light. By doing so, he brings together the cosmological, the animistic, and the religious in a mysterious work that makes us think of the role of magic as a way that early humans ordered their world. 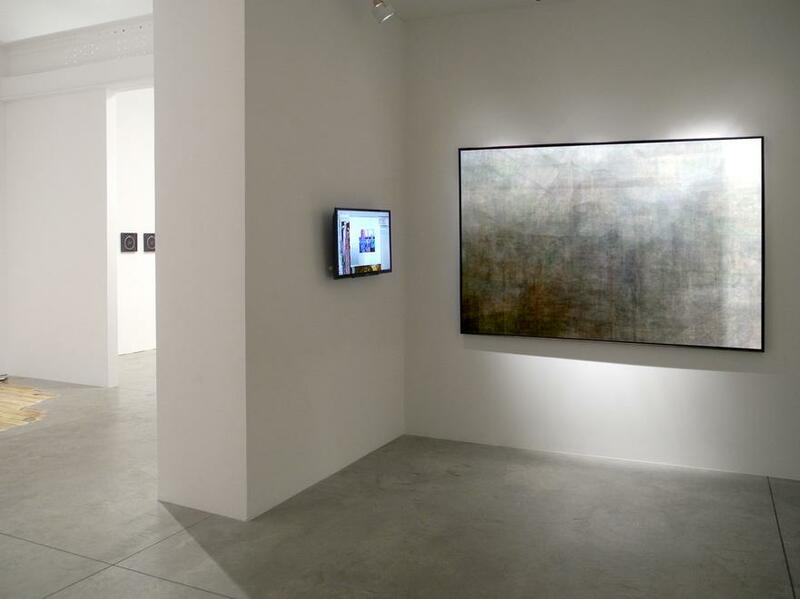 In 2012, a similar work was presented at the Palais de Tokyo, Paris, France. Conceptual constructs of time, or time in our consciousness, are explored by a final group of artists; Alaskan-born Mark Lawrence Stafford uses common construction materials to explore the effects of time and consciousness on the landscape. 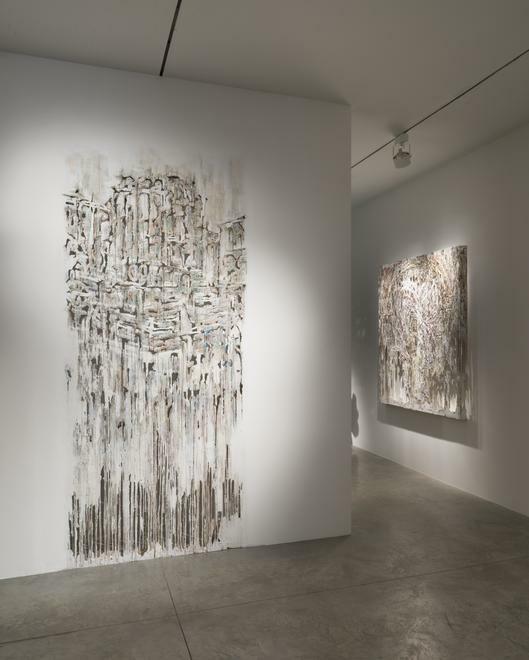 Through images of glaciers, mountains and ocean waves, he conjures patterns that lie between consciousness and cosmos, while reclaiming the notion of the “American sublime.” Syrian-born artist Diana Al-Hadid intervenes on a gallery wall - using gypsum and her signature “frozen drips” to create a site-specific work suspended between decay and construction, which defies gravity and time as it appears to float in space. Hedwige Jacobs makes drawings that capture the collective experiences of isolation, inertia, and desperation prevalent in modern societies. The artist presents a group of drawings that mirror our existence while striving to find the essence of a wider temporal and spatial awareness in our ordinary lives. 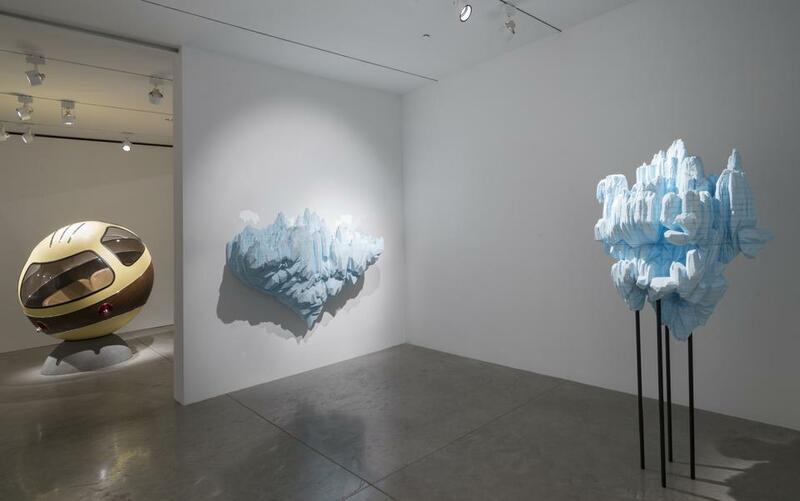 Leaps into the realm of the unknown include New York-based Lars Fisk's futuristic sculptures. 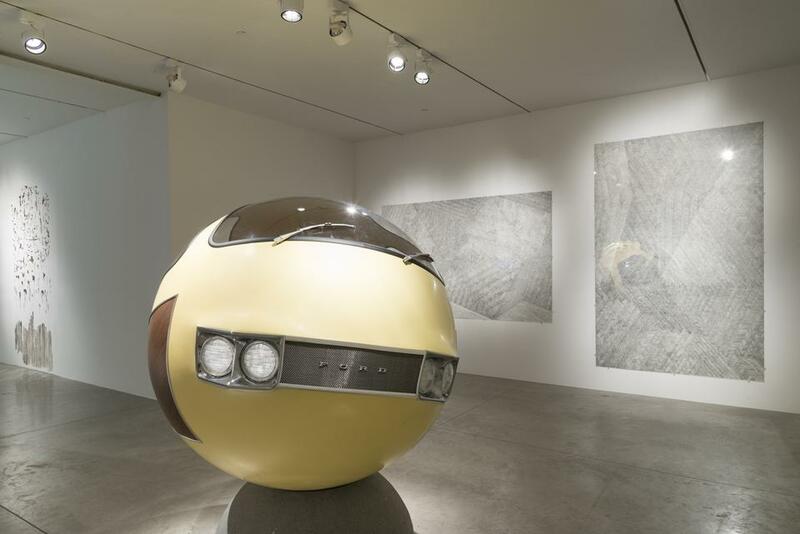 Imagining a future for common objects while blending transportation concerns with cosmologies, Fisk shows a vehicle conflated into a ball – both strangely familiar and completely alien. 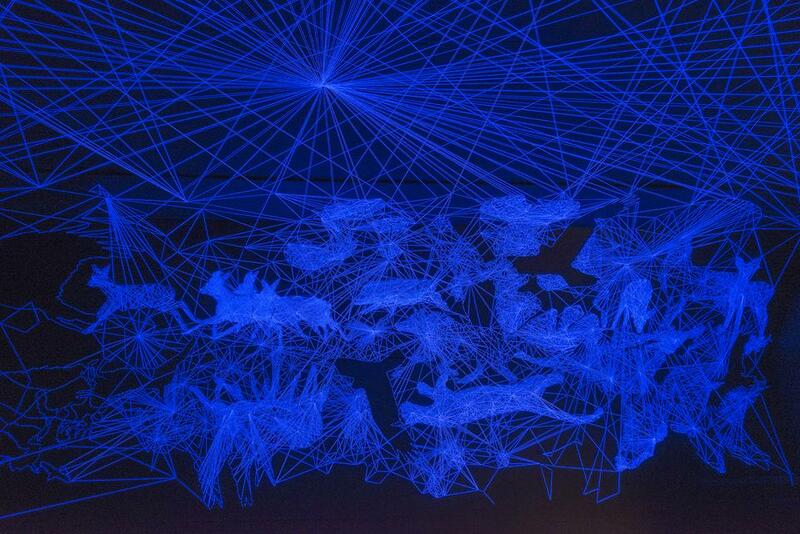 The digital prints of Spanish artist Juanli Carrion postulate further on peripatetic projections of time and the hierarchy of memory in the virtual realm, by using thousands of layered images of ‘ruins’, downloaded from Google.